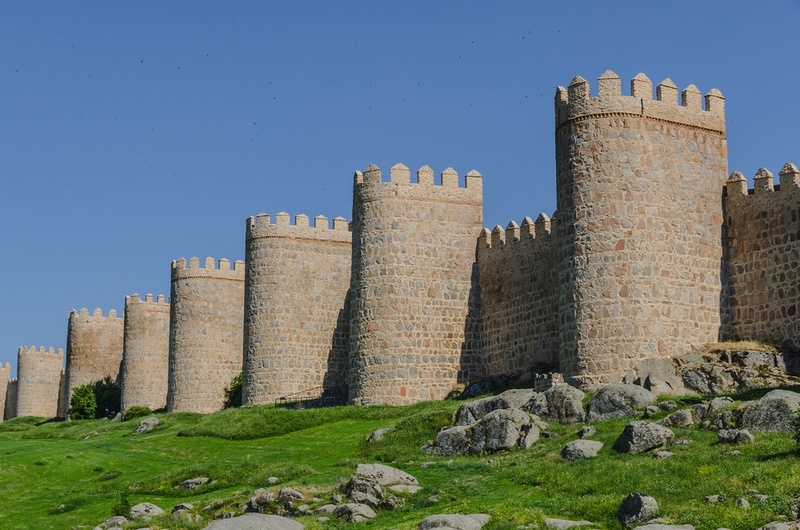 The dark ages of cyber risk management, where risk officers had to cobble together risk assessments performed with inconsistent risk models and communicate about risk in obscure technical terms or using qualitative scales, are over. 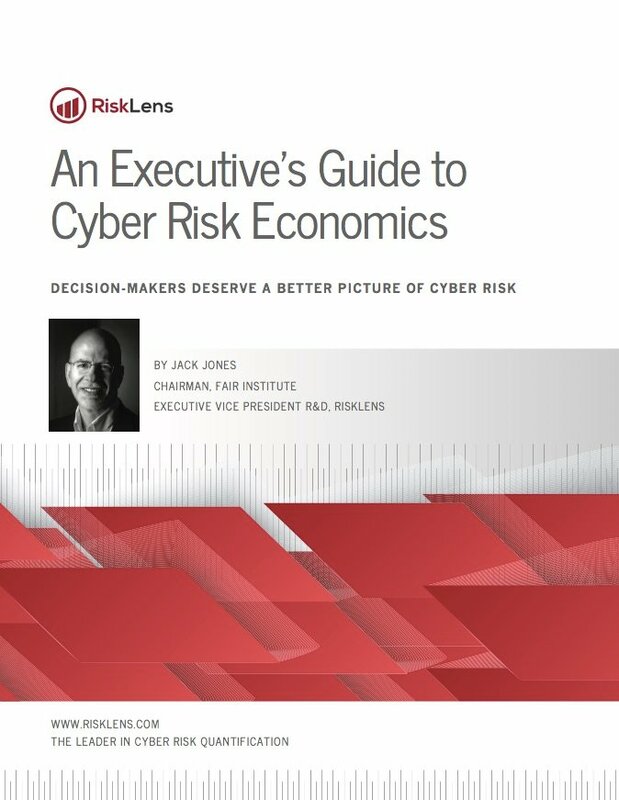 The emergence of the standard FAIR risk model, along with a purpose-built cyber risk assessment and management solution such as RiskLens and a rapidly growing set of best practices, is allowing large enterprises and government organizations to build highly effective cyber risk management programs. Such programs, powered by RiskLens, enable risk to be managed from the business perspective, in financial terms, so that the business and the board can make daily risk-informed and cost-effective decisions. Set or re-set your cyber risk management program with a proven, purpose-built, enterprise-grade solution that allows you to consistently manage the entire cyber risk management lifecycle. 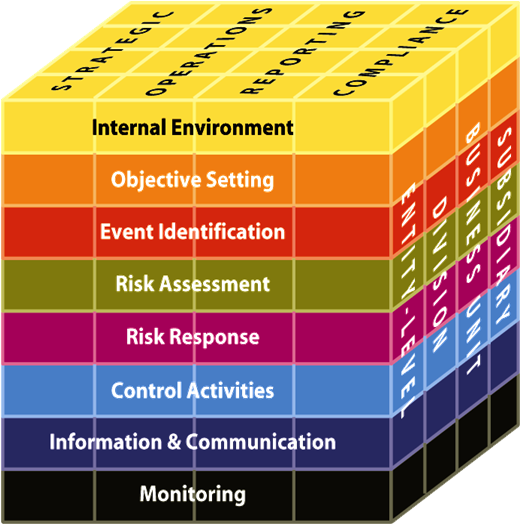 Provide all stakeholders with unprecedented visibility into your organization's top risks and into the effectiveness of various risk mitigation options. Tired of trying to build a cyber risk management solution on your own, or to fit into a GRC product that was not designed for cyber risk? RiskLens is the only quantitative cyber risk management platform purpose-built on the standard FAIR model. RiskLens is the system of record for organizations that want to provide full visibility into cyber risk and integrate cyber risk management with existing Enterprise Risk Management (ERM) practices. Industry leaders across more than 10 vertical markets leverage RiskLens as the software platform of choice for building and managing their cyber risk management program. Stop communicating about risk in qualitative terms, using measurement scales such as high-medium-low, red-yellow-green or 1-10. 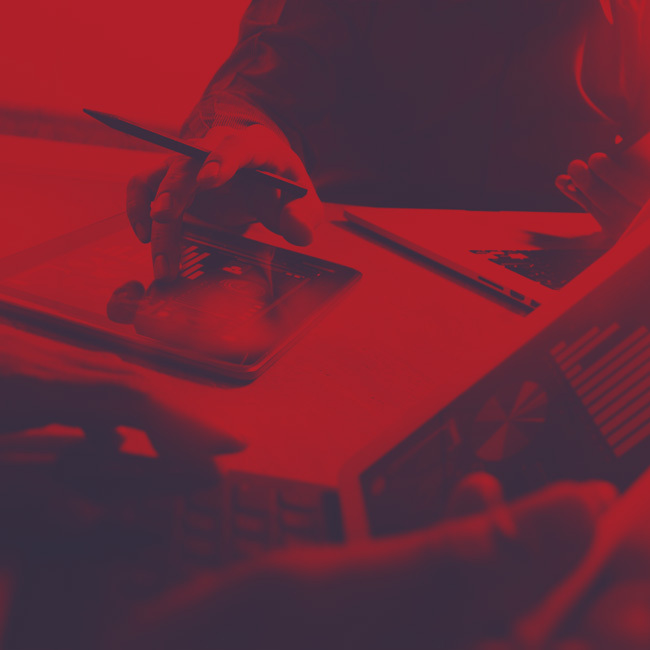 Qualitative assessments don’t allow the business to understand the impact of top cyber risks onto the bottom line or understand whether the business is spending too much or too little on risk mitigation initiatives. 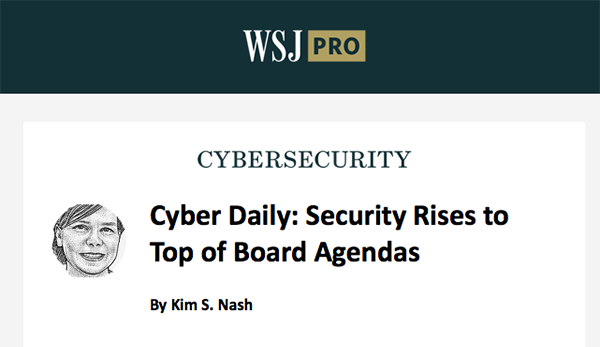 With RiskLens, you can start articulating cyber risk to the various stakeholders – including business execs, the board, IT audit, regulators, etc. – in financial terms. 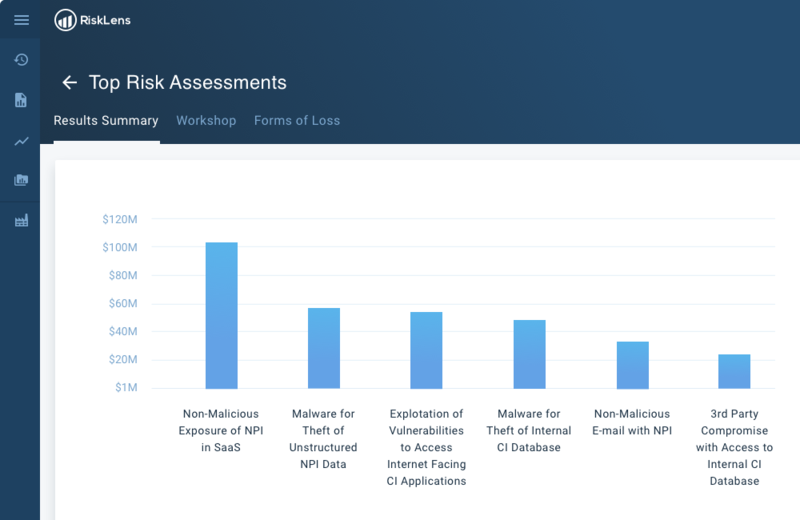 You can assess and prioritize your top risks according to their business impact, and define risk appetite in explicit terms so that your organization can measure how well it is managing cyber risk against approved risk objectives. 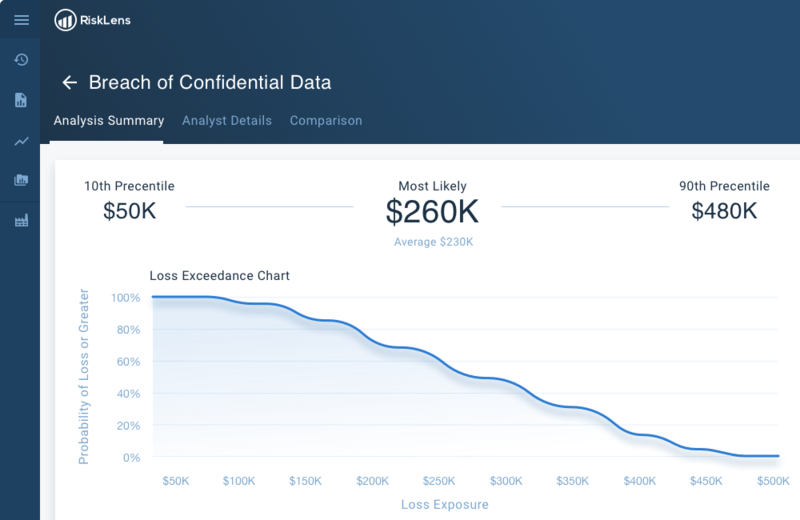 RiskLens leverages the standard FAIR risk taxonomy and analytics model to help you conduct quantitative, enterprise-level risk assessments in a consistent, repeatable and scalable way. Remove the veil of technical or qualitative measures of risk that impede stakeholders to understand cyber risk and make risk-informed decisions. 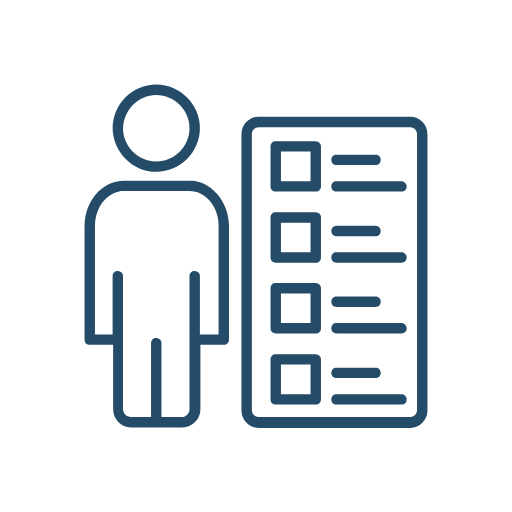 RiskLens helps you provide decision makers with the information they need to make well-informed decisions and fulfill their governance obligations, whether it is to make cost-effective investment or prioritization decisions, approve budgets or proposed risk appetite statements, or sign off security policy exceptions. 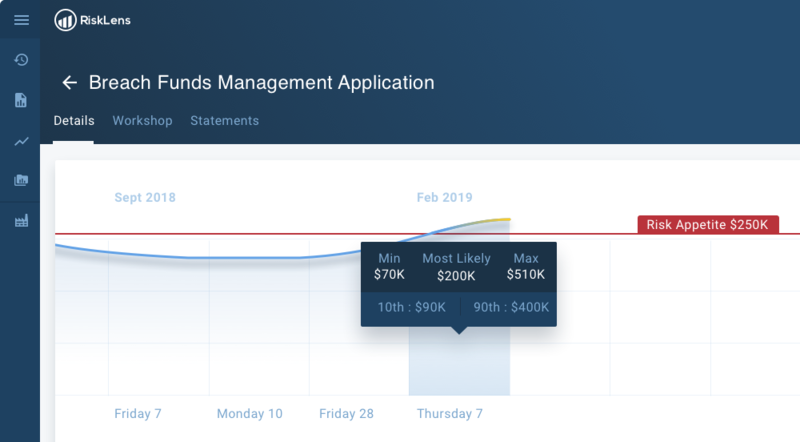 RiskLens allows you to confidently achieve the goal of effective risk management programs, which is to evaluate and implement all activities that can help you achieve and maintain an acceptable level of loss exposure, cost-effectively. Are FAIR Quantified Results Defensible?